When your vehicle needs smog testing or maintenance and repairs, C.M.E. Smog & Auto Repair of Vacaville, CA, has the expertise and state-of-the-art diagnostic equipment to get the job done correctly and cost-effectively the first-time. Our Star-certified technicians provide a wide range of services using the latest technologies, identifying any problems and helping you understand what repairs are necessary. When we diagnose your vehicle’s issues, we address the underlying cause, rather than just fixing the symptoms. Our objective is to enhance drivability, both affordably and professionally. The state of California requires that motor vehicles be smog tested and certified, so that the tailpipe is within the state’s environmental limits. At C.M.E. Smog & Auto Repair, we make sure your vehicle complies with all applicable California rules, regulations, and laws. C.M.E. Smog is a STAR-certified Smog Testing Station, and has the experience, diagnostic equipment, and expert technicians to thoroughly test your vehicle. We’ll identify any and all issues affecting compliance, and make any necessary repairs. We provide you with an overall, detailed diagnostic report, indicating any parts which need to be replaced, repaired, or maintained. We then help you prioritize replacements or maintenance needs, so you can make informed decisions about your repairs. 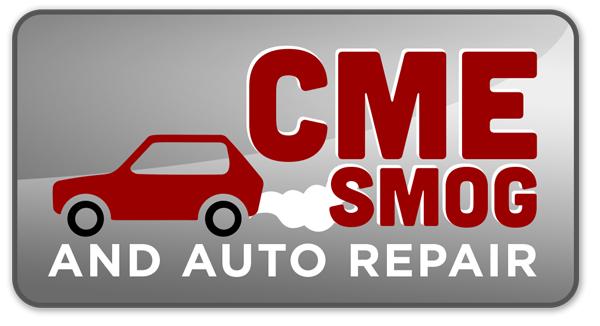 For all of your automotive needs we hope you choose CME Smog & Auto Repair in Vacaville, CA to keep you on the road. Service offered with respect and a smile! C.M.E. Smog & Auto Repair is proud to be a Star-certified Smog Repair Station. To retain our Star certification in California, we undergo monthly monitoring. Kerry Kernohan, owner of C.M.E. Smog & Auto Repair, has been in the automotive repair business for more than 35 years. Kerry is an ASE-certified master technician and has been certified as a smog technician for more than 25 years. He has extensive experience working on vehicles through dealerships, and he and his team repair all makes and models. At C.M.E. Smog & Auto Repair, we not only perform high-quality work, but we also provide high-quality customer service, helping you make the most-informed decision possible so you don’t wind up paying a needlessly high car-repair bill. At C.M.E. Smog & Auto Repair, we not only perform high-quality work, but we also provide high-quality customer service, helping you make the most-informed decision possible so you don’t wind up paying a needlessly high car-repair bill. When you bring your car to C.M.E. Smog & Auto Repair for maintenance or repairs, we provide you with an overall, detailed diagnostic report, indicating which parts—if any—need to be replaced, repaired, or maintained. We also help you prioritize any repairs, replacements, or maintenance needs. While some shops will attempt to sell you parts, repairs or services that you might need in 6 months or a year, we help you understand what you need today.